All-powerful God, increase our strength of will for doing good that Christ may find an eager welcome at his coming and call us to his side in the kingdom of heaven, where he lives and reigns with you and the Holy Spirit, one God, for ever and ever. Amen. 18th November – Blessed Grimoaldo C.P. “And till the present I proclaim you wondrous deeds. . . ” (Resp. Psalm). Thus did Blessed Grimoaldo of the Purification, born Ferdinando Santamaria, testify to the world. 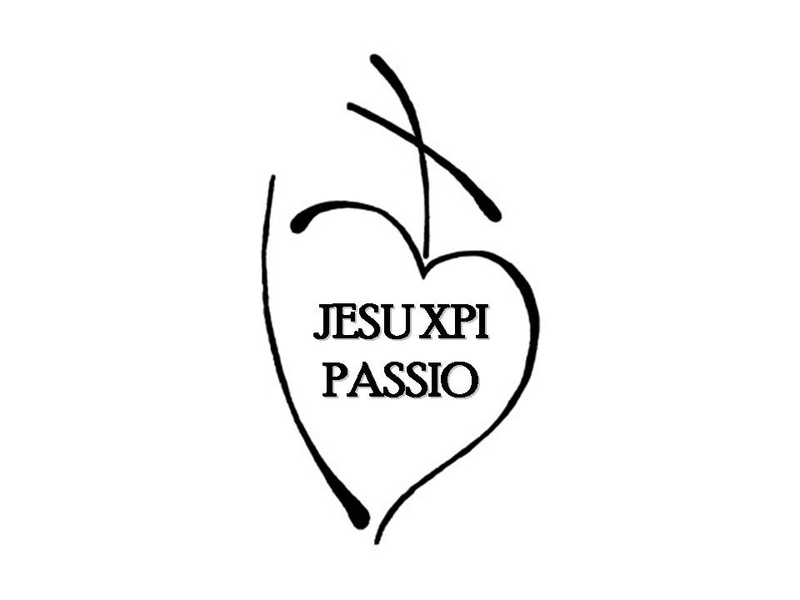 A young Passionist, in the course of his brief life he was constantly inspired by a few basic ideas which are still meaningful to us: to give God priority, to show Jesus Crucified constant gratitude by concrete works of penance and humility; to persevere in goodness even at the cost of great sacrifice; to live with austerity and be content at all times: to be always available to others. 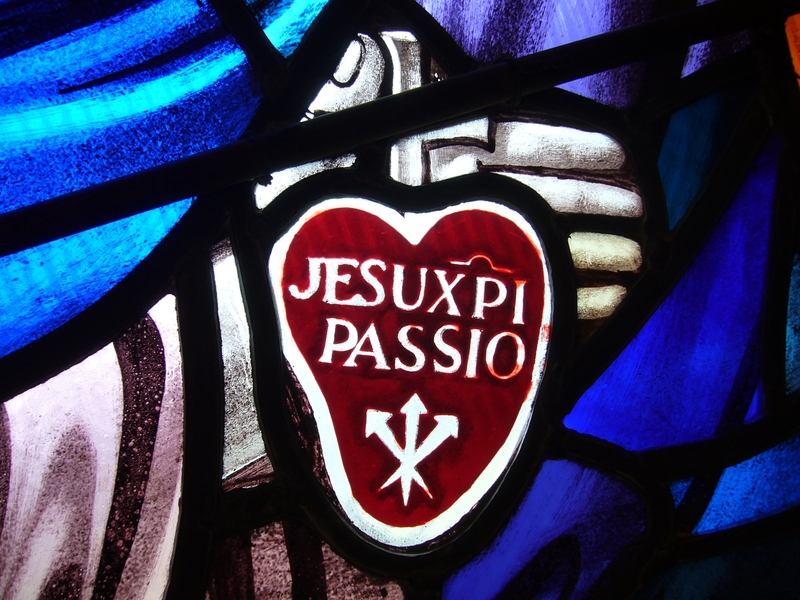 In accord with the Passionist family’s charism, he felt that he should complete in himself Christ’s suffering for the sake of his entire Mystical Body (cf. Col 1:24). 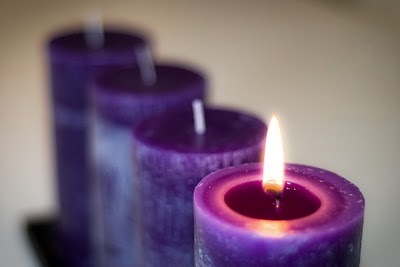 He liked to say: “I always think of Jesus when he went up to Calvary and of his Blessed Mother who walked close to the Lord, and I want to follow their suffering”. His biographers describe him as joyful even amid humiliations, contradictions and difficulties in his studies. His companions noted that although Grimoaldo did nothing different from them, he did it with an extraordinary and growing intensity of love. Young people today and in the future can see in him a model of simple and generous spirituality, firmly rooted in Christ’s paschal mystery. Father, unworthy as I am, you have chosen me to share in the eternal priesthood of Christ and the ministry of your Church. May I be an ardent but gentle servant of your gospel and your sacraments. Grant this through our Lord Jesus Christ, your Son, who lives and reigns with you and the Holy Spirit, one God, for ever and ever. Amen. My legal name is Rafaela. I’m the daughter of Athanasius Bossilkov, brother of the bishop. I always remember my uncle with great emotion and gratitude, because my life was so bound to his. When I thought that the Lord was calling me to the religious life, I spoke to my uncle Eugene, to ask his advice. He was then pastor of Bardarski Gheran. On the 18th of December, 1940, I entered the sisterhood in Sophia. I saw my uncle frequently in the Oriental Institute. 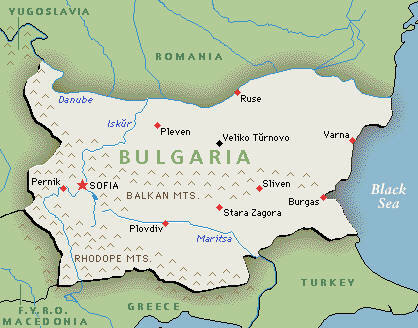 September 19, 1944, Russian troops occupied Bulgaria and I went to my home, to Belene. Again I saw my uncle. 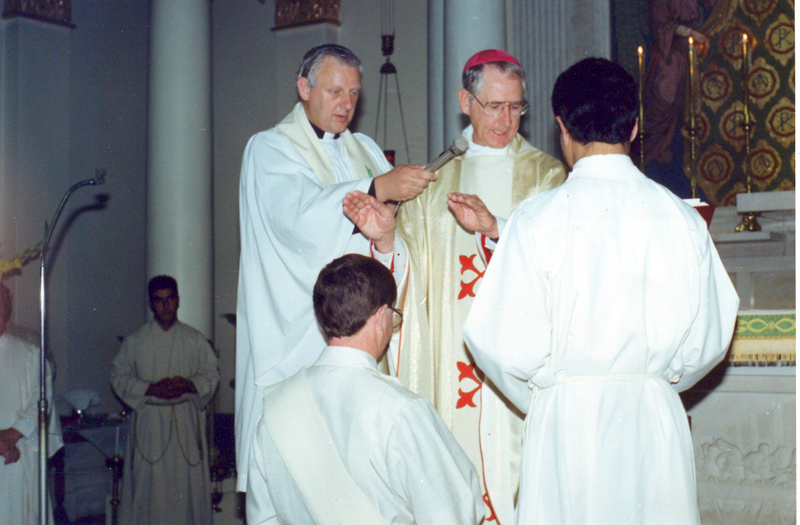 October 7, 1947 he was ordained a bishop, in Russe. What was your uncle, the bishop, like during those difficult years? He was a learned man. I don’t know how many languages he spoke. 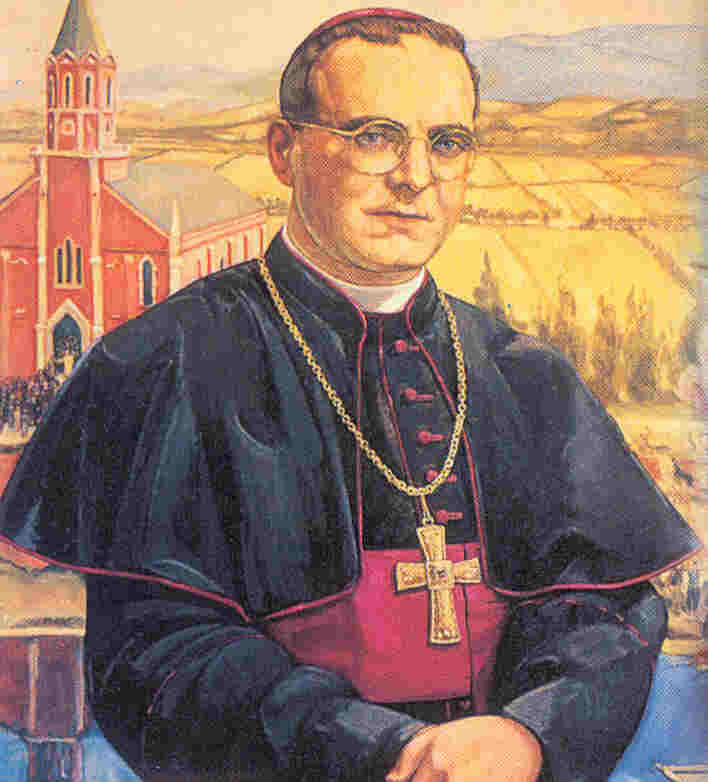 He was very clear about the intentions of the communists in Bulgaria: they wanted to entice the priests and bishops to separate the Bulgarian Catholic Church from Rome. Did they offer him anything? They promised him a car, a chalet, a lot of money. My uncle always turned them down. Do you remember how he was arrested? Sister Celina and I were working for a few days on the property that Monsignor Galloni had bought, outside Sophia. My uncle came there in the summer, to rest for a few weeks. When he came in the summer of 1952, he said that in Plovdiv, the diocese with the largest number of Catholics, many priests were arrested. Meanwhile, three policemen searched the house, which was on one floor and had no electricity, from top to bottom. They searched for three hours. They were looking for guns, a radio-transmitter, propaganda. They looked everywhere, even the sacristy, and showed no respect for the consecrated Hosts there. At 9 AM they told my uncle he was arrested. From July 16th to September 29th we had no news of him. The evening before the trial, they told us we should bring him something to eat in the middle of the day while the trial was going on. And what do you recall from those days? The sessions (mock trials) took place in the morning and afternoon, open sessions. Sister Cecilia and I went every day. Three Assumptionist priests were tried with my uncle. The trial lasted until October 3rd. They tried everything to have him break his ties with Rome. 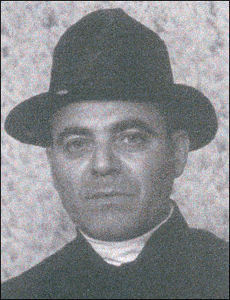 They accused him of being a spy for the Vatican and the capitalist countries. During the trial they tortured them in every way. 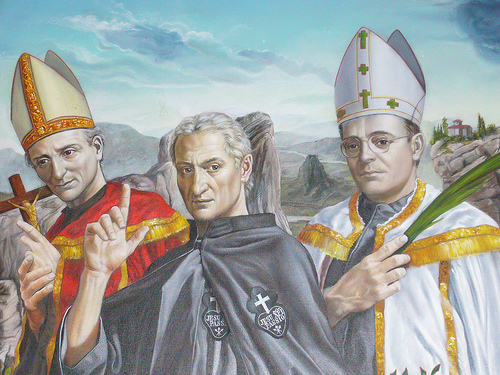 They tried to have the four of them sign a statement against the Pope. Were you able to meet your uncle and speak to him during the trial? Tuesday, September 29, we greeted one another in the room, from a distance. The four of them were very weak. My uncle saw us and waved a greeting. The next day, he met us in public, and thanked us for the food we brought, especially the coffee. Wednesday, at the end of the first session, they let us speak to him for 15 minutes. My uncle said: “What do the people think? Do they believe what they are saying about us?” The lies and calumnies going around bothered him. (The communists had published false accusations agains him on the front page of the newspaper.) We told him that some lawyers had come to his defense. That seemed to calm him. Then he said: “Do you know anything about Father Fortunato?” He was the superior of the Capuchins in Sophia. We told him he had died a natural death. “No,” he answered, “They killed him.” He told us he had spoken to an agent who said to him: “Bossilkov, do you want to go and see what happened to Fortunato. You can see what you can happen to you.” ” No,” he told him, “I’ve heard enough already.” My uncle, being in the next cell, had heard him crying out in pain. He asked us not to go back to Russe, but to stay in Sophia. He blessed us, asking that we pray for him. On Friday, October 3rd, the last day of the mock trial, the sessions began at 3 PM. At 6 PM the sentencing was to take place, but it was delayed till 9 PM. Four of them were condemned to death. Were you able to see your uncle afterwards? The next day we brought him everything he asked, and we kept on till November 18th. We brought him things in a little basket, which they returned to us empty, with a receipt. On November 18th the basket was given back to us full. Then we knew something awful had happened. “Tell me at least, where is he buried?” “There’s a place where criminals like your uncle are buried. It’s not marked. But if you want, to make you feel better, go to the main cemetery; there’s a section in the back that they call ‘the white crosses.’ Maybe you’ll find your uncle’s name on one of them. Would you like to have your uncle’s clothes?” “Yes,” I told him. He brought me to a big room and told me to wait. Until then I felt strong and brave, but when the agent brought me the bag that we used to bring him blankets, and I saw his cassock, and a bloody shirt, and other things, I started to cry and to sob. Then the policeman said to me: “Don’t cry, he was very good, very good.” I put the clothes in the bag, and he took me to the door, where Sister Cecilia was waiting. We went back home.